Stretch your budget with these home-buying tips. Buying a first home is an exciting time — and a busy one. Between shoring up your finances, finding an agent and scouring sale listings, there’s plenty to do before you schedule your first showing. But you’re buying in a transitioning market, with some areas still struggling to recover from the Great Recession as others head toward a new housing boom. Market forces and political ones — a new administration in Washington and the passage of new tax laws — promise to make 2018 interesting for buyers. Here are some insider secrets to help first-time homebuyers get the most value for their money. Click through to learn ways to get the best deal on a new home. The inventory shortages in housing markets throughout the United States mean buyers have more competition, which can be daunting for a first-time buyer. Have your mortgage preapproval in hand before you start looking at homes to avoid delays once you’re ready to make an offer. In addition, ask your agent for a comparative market analysis for any home you’re considering purchasing to help you choose a realistic offer price. Distance from shopping locations and neighborhood amenities, as well as traffic and commuting time all factor into your enjoyment of your home. Future resale value is also important: A home that appreciates in value can give you a healthy return on your investment. Your agent can tell you where home prices are appreciating the fastest, and you can use online resources like AARP’s Livability Index and GreatSchools to research characteristics that make a neighborhood more desirable. Home price appreciation is expected to increase 3.2 percent in 2018 and mortgage rates are expected to reach 5 percent by the end of the year, according to the Realtor.com 2018 National Housing Forecast. Buying while prices are still on the rise will help you save money with a lower mortgage rate and increase the chances that your home value will appreciate in the shorter term, giving you even more bang for your buck. You can buy a home with less than 20 percent down if you’re willing to purchase mortgage insurance. First-time homebuyer loans backed by the FHA, the VA and the U.S. Department of Agriculture can help buyers with modest income or imperfect credit qualify for a home loan with little or no money down. Conventional loans are another option. They typically require higher credit qualifications, but they don’t charge upfront fees like the government-backed loans do and allow you purchase with as little as 3 percent down. Average credit scores for millennial homebuyers are on the decline, which might mean that lenders are relaxing standards. They have loosened the reins on minimum down-payment requirements, which now begin as low as 3 percent for conventional loans, and maximum debt-to-income ratios, which have climbed from 45 percent to 50 percent on Fannie Mae loans, according to the Home Buying Institute. For most loan types, you can discontinue mortgage insurance once you achieve 20 percent equity in your home. Not so with an FHA loan. Unless you purchase with at least 10 percent down, you’ll have to pay mortgage insurance for the life of your loan. You might be able to refinance your FHA loan into a more favorable type after you reach 20 percent equity, but you’re best off choosing a different loan if you can. Counties and states administer first-time homebuyer grants and loans that can help you purchase a home. Both Pennsylvania and Texas offer programs that can help you get money for a down payment and closing costs. County programs like Howard County, Maryland’s Settlement Down Payment Loan assists qualified borrowers with approved loans with down payment and closing costs. Note that local programs like this often have waiting lists, and they sometimes run out of funds before the year ends. The Good Neighbor Next Door program lets police officers, firefighters, emergency medical technicians and teachers save 50 percent on the price of a home located in a revitalization area, as defined by the U.S. Department of Housing and Urban Development. You must agree to live in your home for three years and sign a “silent second” mortgage note for the amount of your discount, which you’ll have to pay in full if you sell the home before three years are up. Eligible homes are on the HUD Homes website. Property tax is a real estate tax based on your property’s value that you pay to your municipal or county government. And property tax exemptions come in several different forms, according to HouseLogic, including homestead, veterans and renovations exemptions. When the county where you’re focusing your home search doesn’t have exemptions, moving just over the border to one that does could save you thousands of dollars per year. You can deduct the cost of doing business from your home as long as you use the space regularly and exclusively as an office and it’s your principal place of business. Generally, the amount you can deduct is based on the percentage of your home you use for office space. For example, if you have a 2,000-square-foot home with a 100-square-foot office, you could deduct 5 percent of your qualifying deductible expenses. – The cap on mortgage-interest deductions is reduced to $750,000, and the $100,000 deduction on home-equity interest is eliminated. – You’ll no longer be allowed to deduct all your state and local income taxes, including property taxes; your total state and local tax deductions are capped at $10,000. 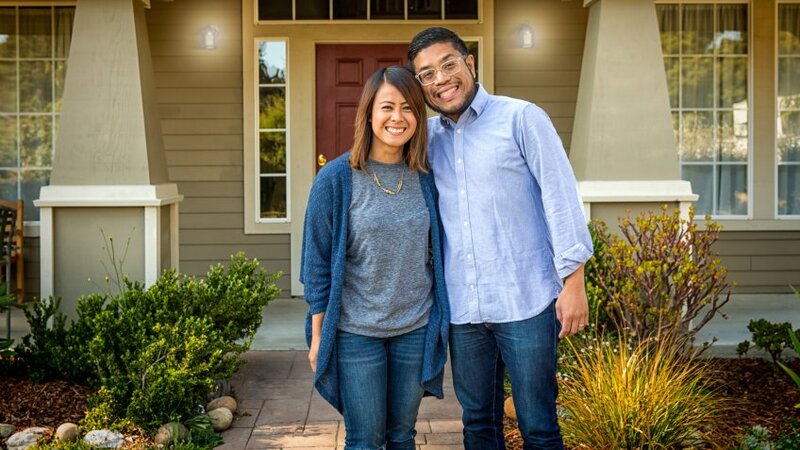 Not all homebuyers will feel the effects of these changes, but the state and local tax deduction cap, in particular, could influence your decision over which home and location to choose. Click through to check out the best — and worst — states for first-time homebuyers. Living in these beach towns is still cheaper than New York City.